I finally got the new domain name of this website last Saturday (September 21). If you have bookmarked the old one, please update to a new one although it will automatically redirect from the old to the new. 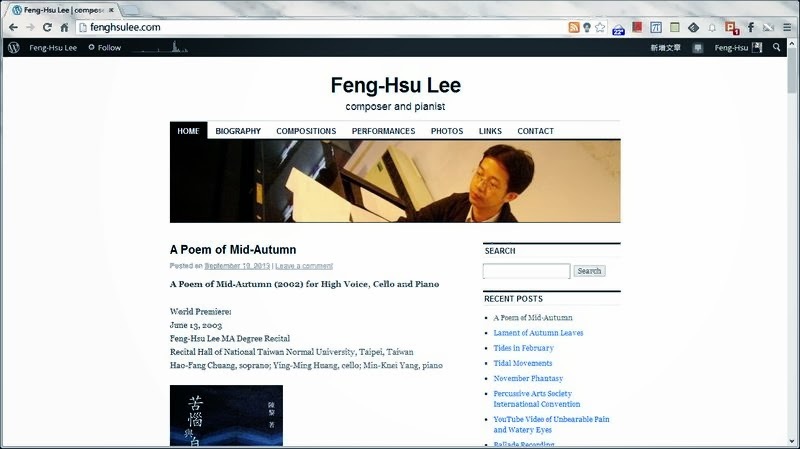 The new domain name is http://fenghsulee.com. Thank you. 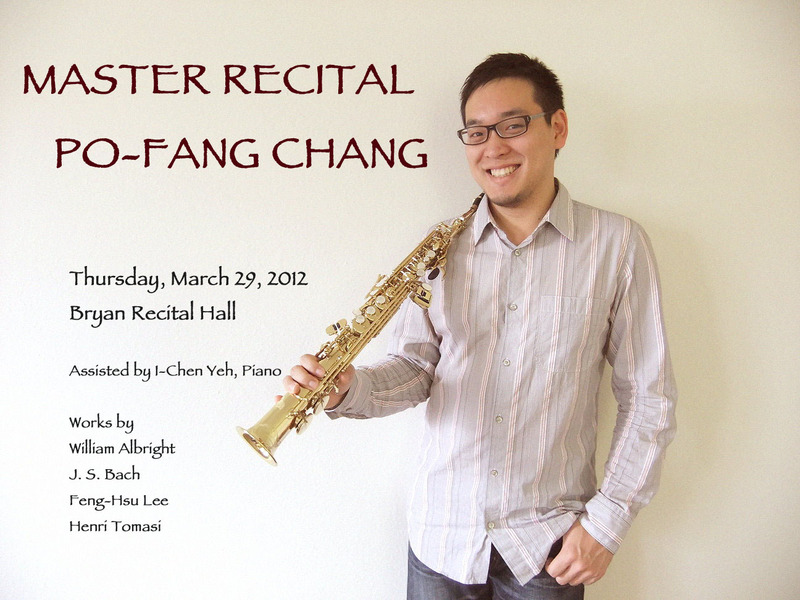 By the way, I also got a recording of my Cave Railroad for solo alto saxophone from Po-Fang Chang yesterday, and I put the recording in this website today. Please click this link, Cave Railroad, for listening to this piece.